Champions of South Australian ingredients and producers have set up shop in the main street of Hahndorf, showcasing the best of the state. 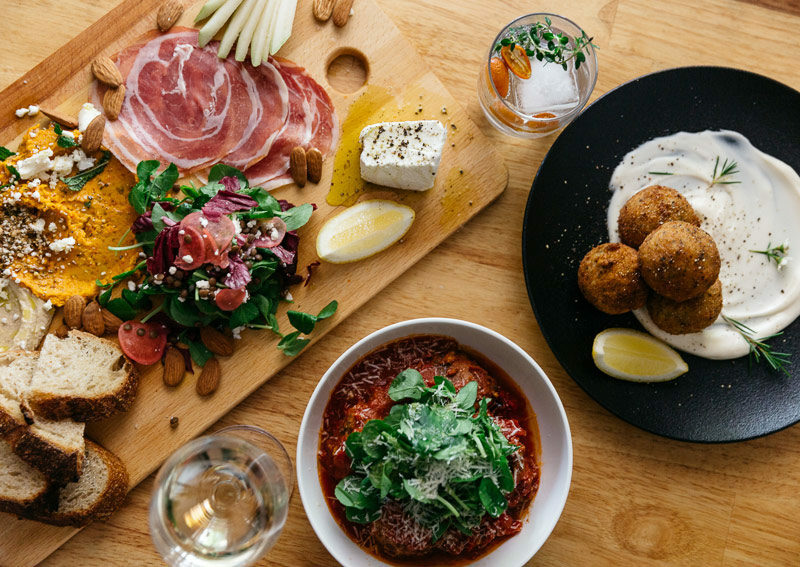 Hahndorf is an evolving tourist destination that has had its ups and downs over the years, particularly when it comes to food offerings heavily influenced by its historic German roots. 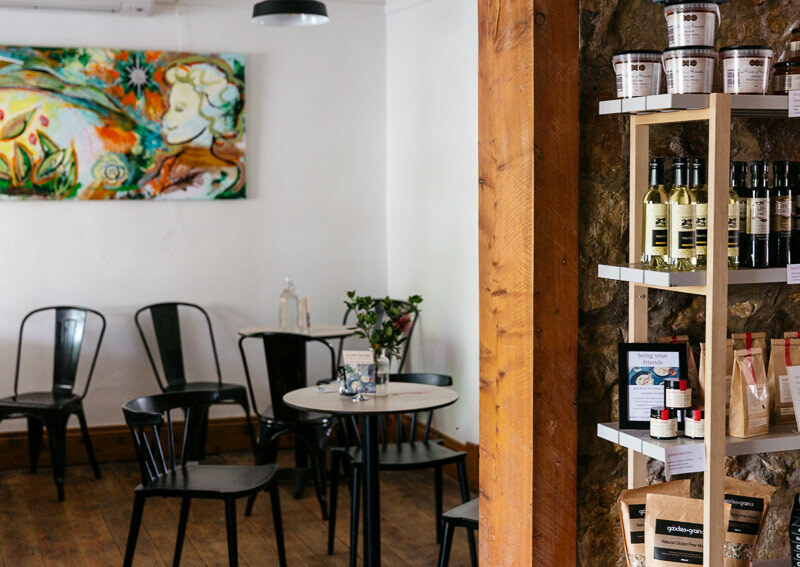 Now, this buzzing Adelaide Hills village has advanced beyond sausage and schnitzels to offer visitors something a little more refined and a lot more local. Hahn & Hamlin is named after the founders of Hahndorf. It is situated on the main street in an original 1800s cottage but that’s about where the Deutschland connection stops. The cottage, white washed with a fresh interior, is bright but cosy with seating occupying the two larger rooms and a counter and scullery type kitchen tucked into its corners. Original features are highlighted and works by local artists adorn every available wall. The front terrace is occupied by those who prefer to people-watch while they sip on (fantastic) coffee or drinks supplied by some of South Australia’s new favourite producers. For those who enjoy the outdoors, but prefer a more intimate and relaxing experience, the back courtyard is the place to be. It’s here we are perched for a long lunch as the boards and plates arrive and a passage of local, delicious discovery begins. 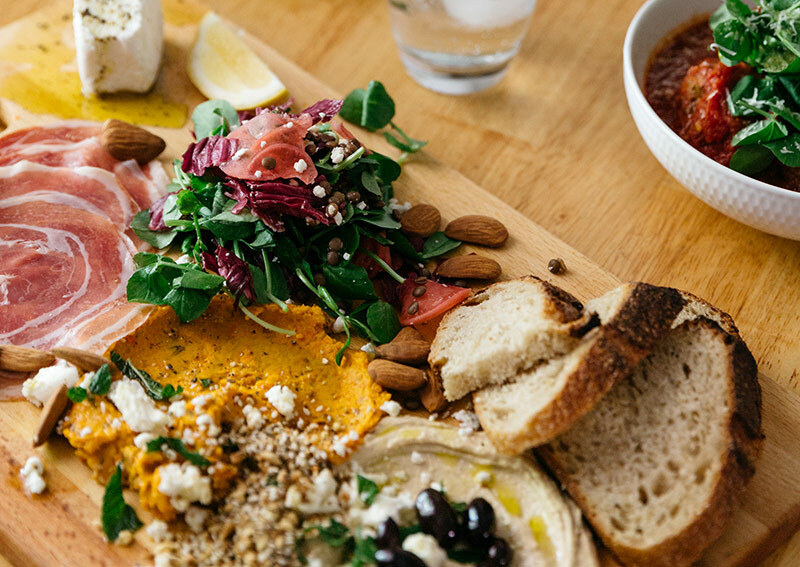 The Flavours of South Australia Grazing Board is a portrait of local producers artistically showcased, designed to share between two. 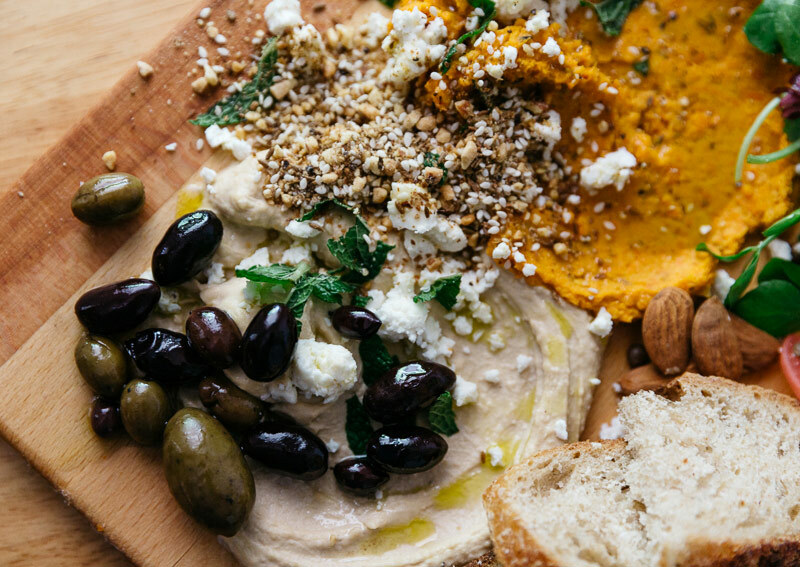 It features chevre by Woodside Cheese Wrights drizzled in olive oil and topped with cracked pepper, Coriole olives (served warm) and Obela hommus topped with dukkha that packs a Mediterranean punch. A Middle Eastern touch is introduced by a roughly-made pumpkin dip with hints of fennel and mint among a melange of herbaceous flavours that pairs with thinly sliced prosciutto. A side salad of pea tendrils, radicchio, lentils and feta is highlighted by crunchy, lightly-pickled radish. 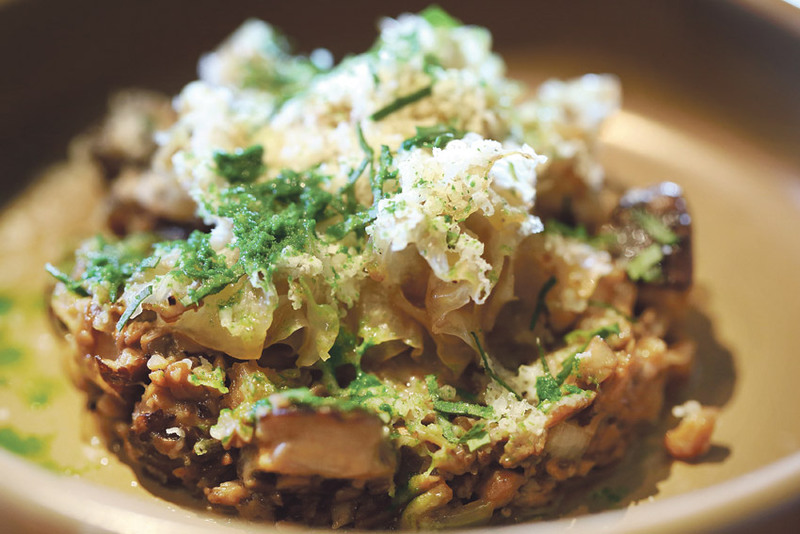 The salad is seasoned to perfection with a dressing that combines more South Australian producers – Beerenberg’s seeded mustard, Hive Honey and Maggie Beer’s verjuice. A scattering of new-season strawberry segments and almond kernels complete the picture-perfect starter. Next, a simple but wholesome dish of pork and beef meatballs with the main ingredients hailing from the south east of the state. The meatballs are seasoned with saltbush and are swimming in a pool of delightful house-made red wine and tomato sauce topped with pea tendrils and a generous sprinkle of Pecorino cheese. Typically, arancini is a function favourite and usually deep fried and dry. 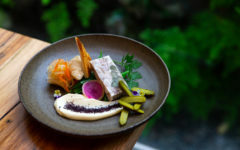 Almost always an afterthought, and a way to add some weight to a catering menu, Hahn and Hamlin’s are different: light, fluffy and filled with the good stuff. SA-grown freekah and quinoa are a welcome replacement for stodgy rice, highlighted with pops of lemon and parsley. 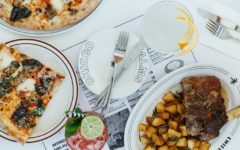 Another example of simplicity done right, with the right ingredients. 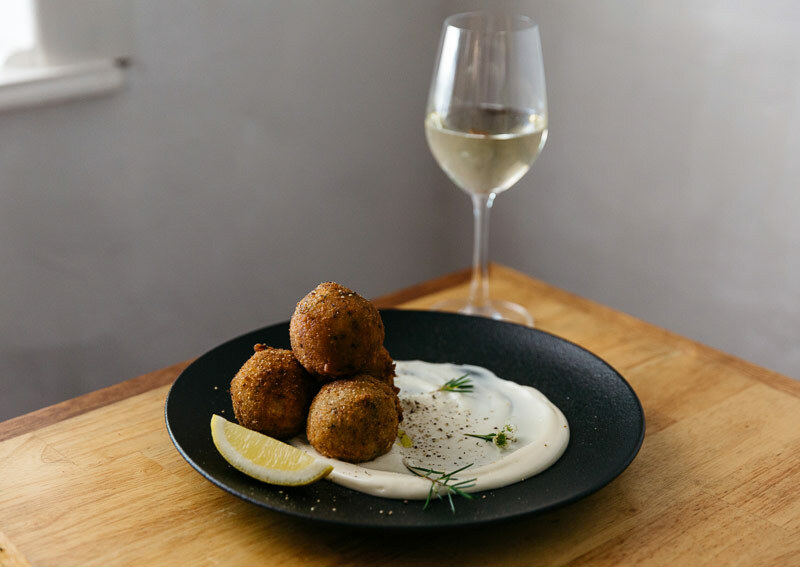 What brings this dish together is a lemon myrtle-infused mayonnaise and I decide at this moment that I may never say no to arancini again, just in case they are this good. 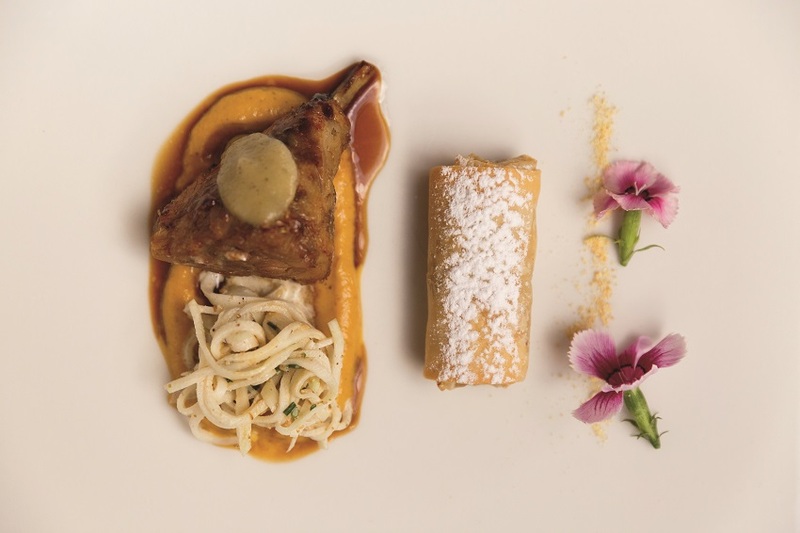 Hahn and Hamlin’s menu is even larger than the generous helpings of their delicious food. 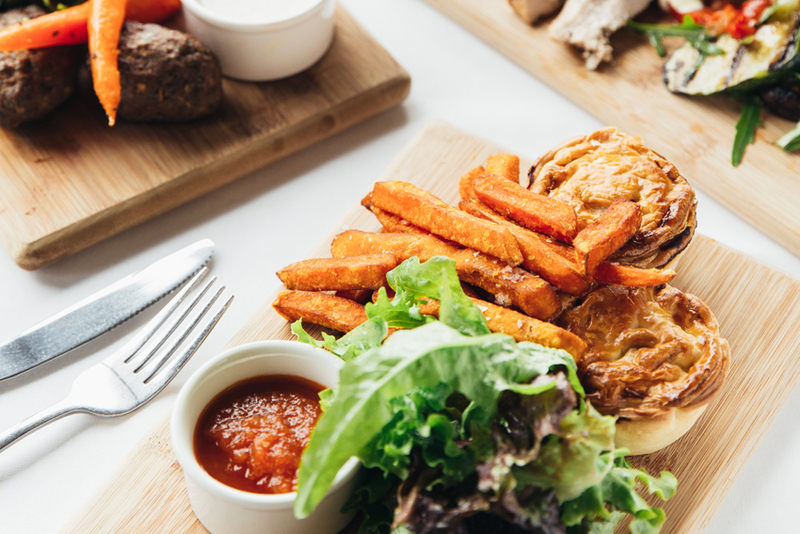 Whether its for breakfast, lunch or late afternoon snacks, there is something here for everyone – as long as you are happy with local.